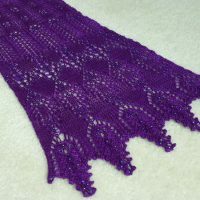 What better way to warm up your winter wardrobe than with this stunning, lace-knit Boo Humbug scarf. 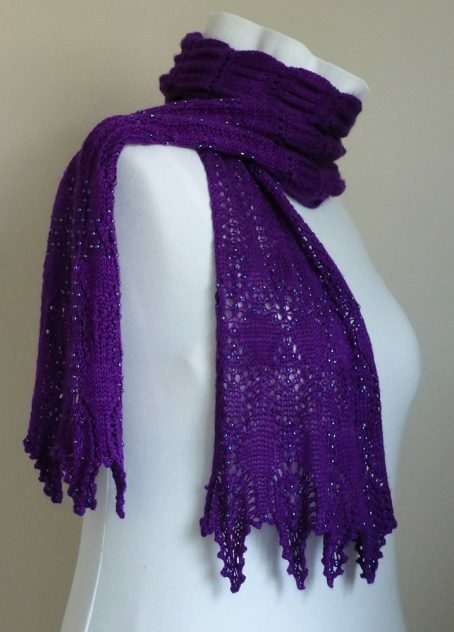 Its snugly warm Merino and silk yarn is super-soft to the touch, while its bright purple color and sparkling glass bead work brighten up even a cold winter’s day. 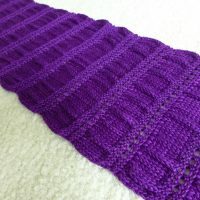 I just loved knitting this Boo Humbug scarf pattern. And I rarely say that with long rectangular scarves. The ruching along the base of the scarf made it so much less monotonous. About the time it was bored knitting stockinette, it was time to switch needles and knit the eyelet lace part. 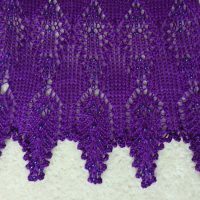 The lace and beading were simple to knit, but create such drama. It was difficult to see where the pattern was going, but it blocked out beautifully. Size: One size. Measures 78″ wide by 7″ long. Material: 50% Merino, 50% Silk. Hand wash – Lay flat or dry clean. 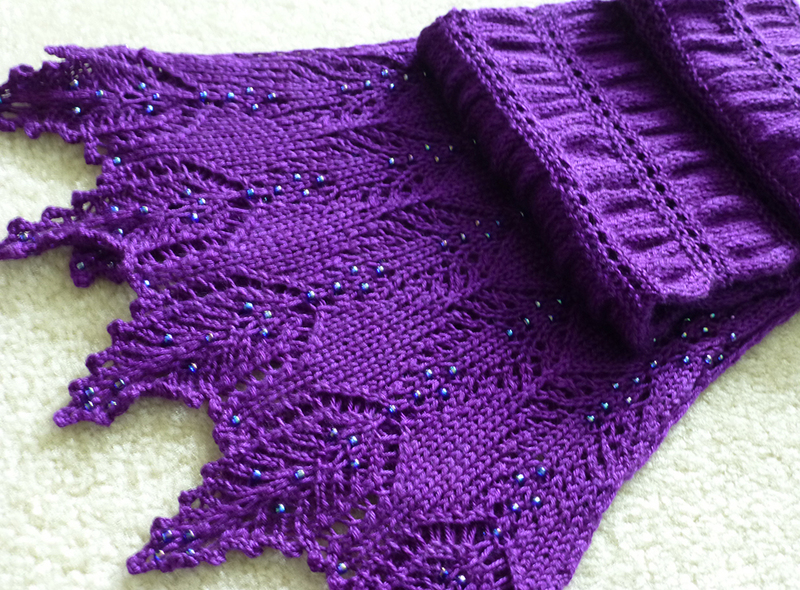 *Special thanks to Boo Knits for creating such a lovely pattern (Boo Humbug) and Helen from Moonlightyarns for custom-dying such beautiful Amethyst yarn.